If you ask me, the most popular aspect of Tuscany is not the reserves or the gourmet dining or the rich history. Rather it is the wineries and vineyards that dot the Toscana landscape. Below are 5 wineries you would be crazy not to visit while in Tuscany. Tuscany is a 23,000 square kilometer region located in Central Italy. With over 120 protected reserves, Tuscany and in particular its capital, Florence, have made significant inroads into the Italian tourism market, attracting more than 1.7 million visitors annually. With over 100hectares of Vineyards, Tenimenti Luigi d'Alessandro, owned by the d'Alessandro family is popular for producing both red and white wines. Among their most popular brands include the Migliara, Il Bosco, Borgoh syrah, Fontarca and Bianco del Borgo. Trust me; sampling the above wines produced from Syrah and Viognier grapes will be the highlight of your tour. This winery is located in the Chianti Classico wine zone. For 10 Euros, you can get to sample the best Chianti Classico wines that are made with grapes such as Sangiovese, Colorino e Canaiolo, and Merlot. Trust me; this is an experience that you do not want to miss out. This winery is also located in the Chianti Classico Wine Zone. 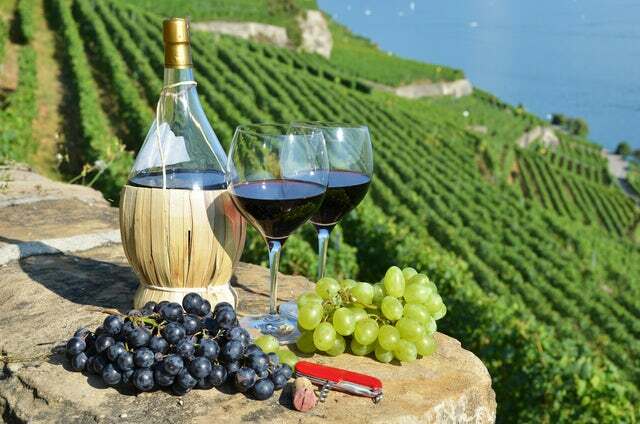 For 10 Euros, you will get to sample wines made from grapes such as Sangiovese, Canaiolo, Colorino. Among the most popular brands here include Chianti Classico, Grappa, Vinsanto, Olive Oil. The wine will be sampled pairings such as traditional ragù, grilled meat, and seasoned cheese. This winery is located in the Montalcino Wine Zone. The wines in this winery are made from Sangiovese grapes. You will get to sample the wine for free. Pairings served with wine include grilled meat and rotisserie of white and red meats, cheeses. Wine tasting is an experience like you have never had. In Tuscany, the experience is taken to another level with pairings from traditional Toscanan dishes.